Here is a silicone bracelet that sends a pro-active message. 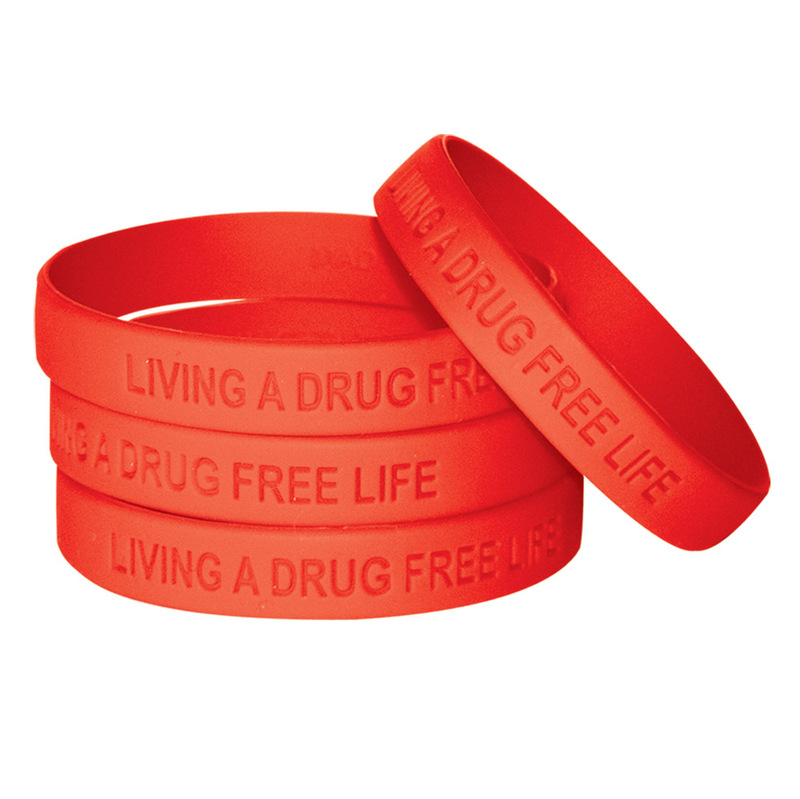 By choosing to wear this bracelet, a youngster is making a positive statement about his or her own decision to actively "Live A Drug-Free Life." Sold in packs of 10 bracelets of the same style.